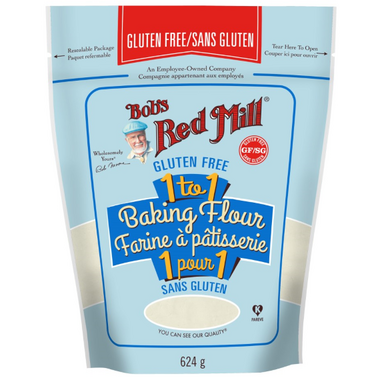 Bob's™ makes it easy to transform traditional recipes to gluten free with Gluten Free 1-to-1 Baking Flour. Simply follow your favorite baking recipe, replacing the wheat flour with this extraordinary blend. It is perfectly formulated for baked goods with terrific taste and texture – no additional specialty ingredients or custom recipes required, making it one of the best gluten free flours for baking. Ideal for cookies, cakes, brownies, muffins, and more. Direct substitute for wheat flour.